In December 2014, I began work with 720 men and women who’d struggled for years to lose weight. They’d tried every diet and exercise imaginable with no luck. I asked them to give me 21 days to see how I could help them. 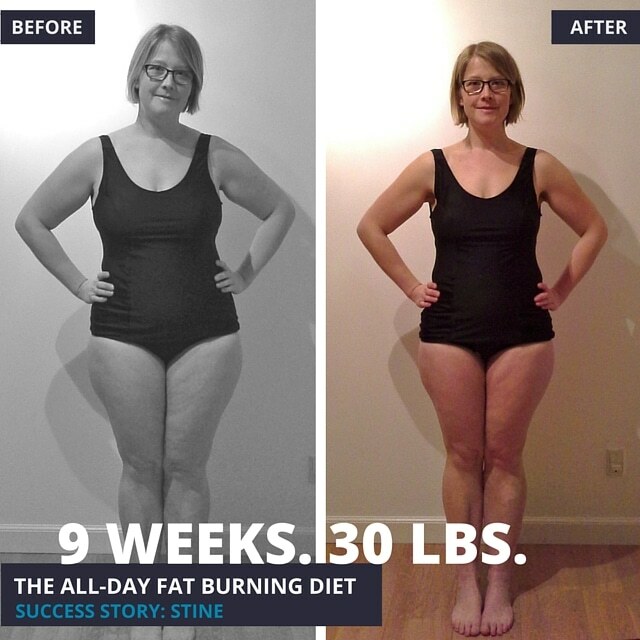 At the end of this period, the average weight loss among them was 10 pounds. We could have stopped there, but we kept going. 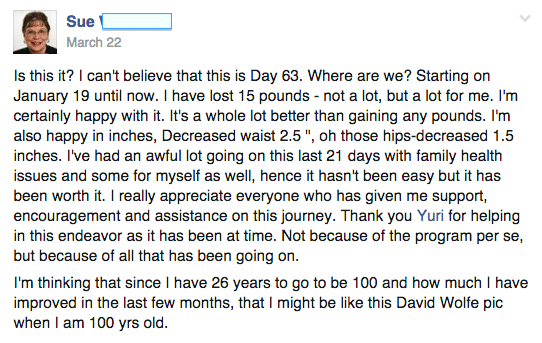 Less than 2 months later, many had lost between 30-40 pounds and inches off their waists and hips. 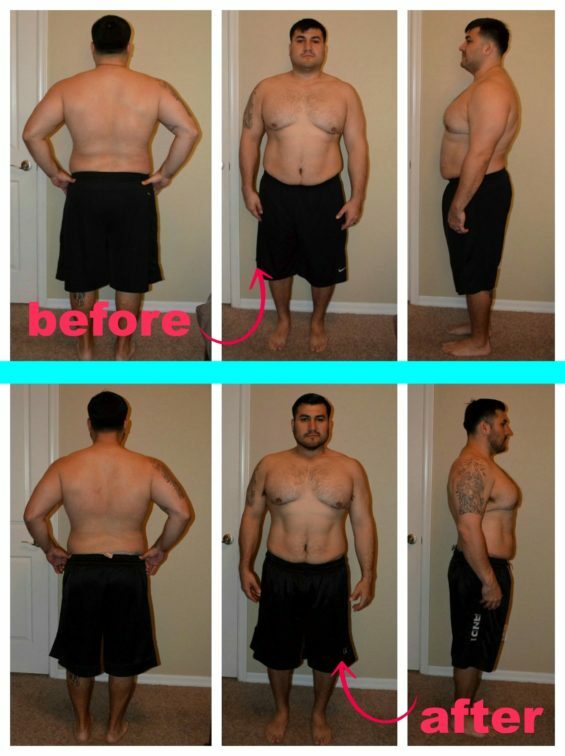 Those are the results from the beta-test I ran during the writing of the All-Day Fat Burning Diet last December to get confirmation that this unique program was the real deal. And it is. If you’re someone who needs help getting started losing those first 20-50 pounds or you’re looking for that extra edge to breakthrough those last 5-10 pounds you just can’t seem to lose, then I’m excited to get this book into your hands. Over the past 2 decades I’ve helped a LOT of men and women lose weight and keep it off – more than 500,000 to be more precise. And to be honest, there are few people better at helping you burn fat and get in great shape. Still, millions of people continue to struggle with their weight, mostly due to no fault of their own. They’ve eaten well and exercised regularly, yet their weight hasn’t budged. Frustration and hopelessness have become far too common in the pursuit of a leaner, healthier body, while their internal physiology (metabolism) has been holding them back… without them even knowing it. And that’s why I wrote this book. I had a lot to say that I felt wasn’t being said. And I was tired of seeing well-intentioned men and women try everything to lose weight with little success. 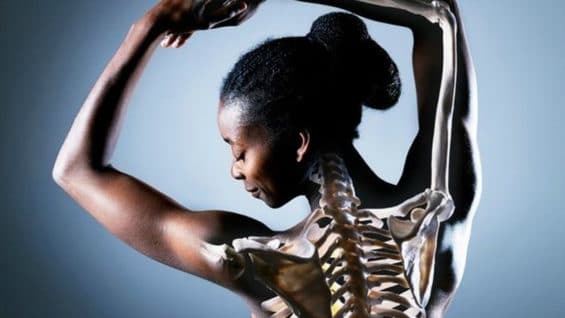 So, I compiled my 2 decades of experience, tons of research, and delivered a new program that oddly enough, honors and mirrors how our bodies were originally built to thrive. This recent LIVE Q&A hangout goes into further depth about why I wrote this book and answers many of the common questions I’ve been asked. I’ll also give you a behind-the-scenes sneak peak of the book. Check it out below. 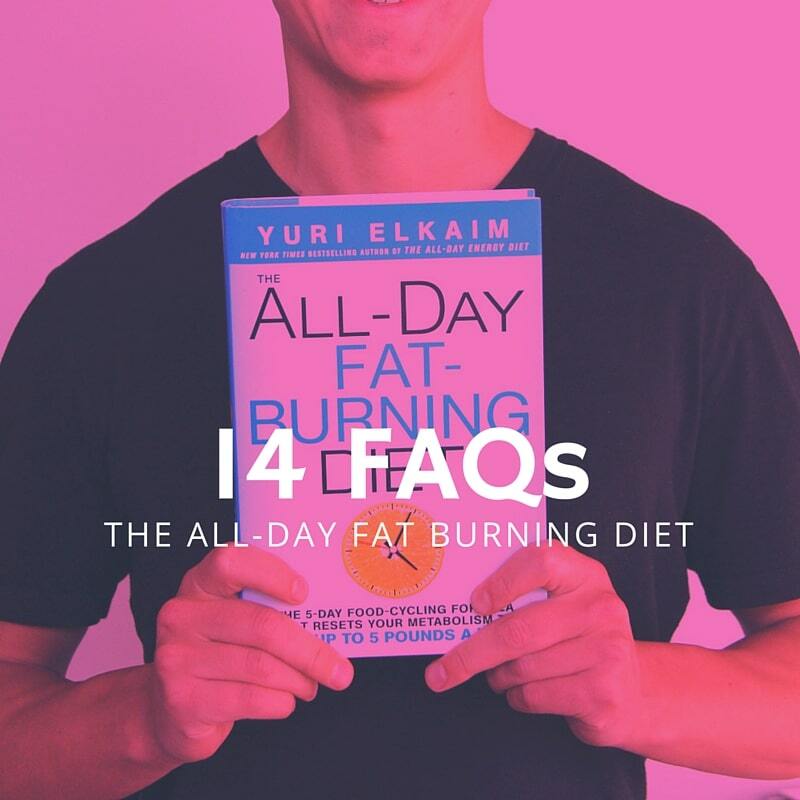 You’re here most likely because you want to learn more about The All-Day Fat Burning Diet—to see if it’s legit or worth your consideration. In this post, I want to give you a roadmap of what the book’s about, lay out the table of contents, provide a few excerpts and testimonials, and answer a number of commonly asked questions so you can make a more informed decision about following this program. If you’d rather skip all of this and just order the book, then you can do so here. What is The All-Day Fat Burning Diet? Without counting calories, dogmatic diet rules, or insane exercise. And all of this helps you go from stressed-out, survival mode to thriving, fat-burning mode. Reset your metabolism, rebalance your hormones, and shed weight without feeling deprived or that you’re even on a diet. The recipes are fantastic and I never felt like I was on a diet at all. I have made the recipes for guests several times and they have always been well received, even my 4 year old son is happily eating the food. Part 1 lays the foundation for why your body is holding onto weight (hint: inflammation is a biggie). Here, you’ll discover 6 “fat triggers” that are forcing your body to hold weight and the hormonal implications of these “fat triggers”. 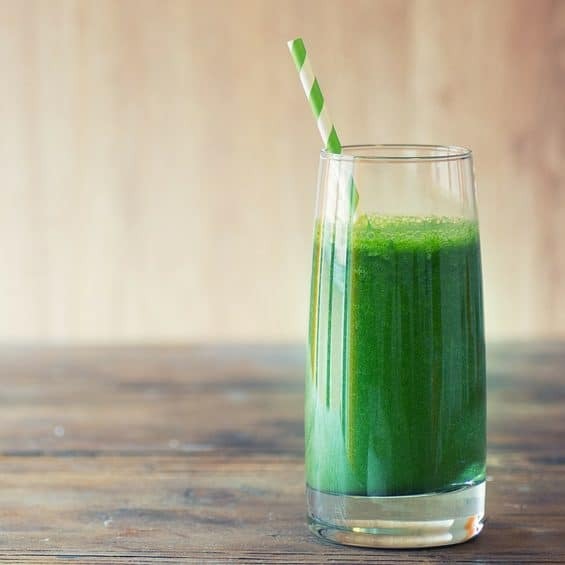 Part 2 gives you the 6-step reset to reboot your metabolism back to it’s healthy factory settings so you can lose up to 5 pounds per week. 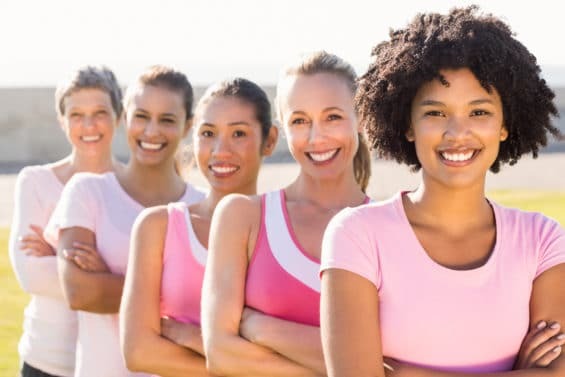 Part 3 provides you with the recipes, meal plan, and suggestions for how to make this plan work for you for life – not just 21 days. Benefit 1: Breakthrough stubborn and unexplained weight plateaus with a unique 5-day food cycling formula that works even if you’ve tried everything else. 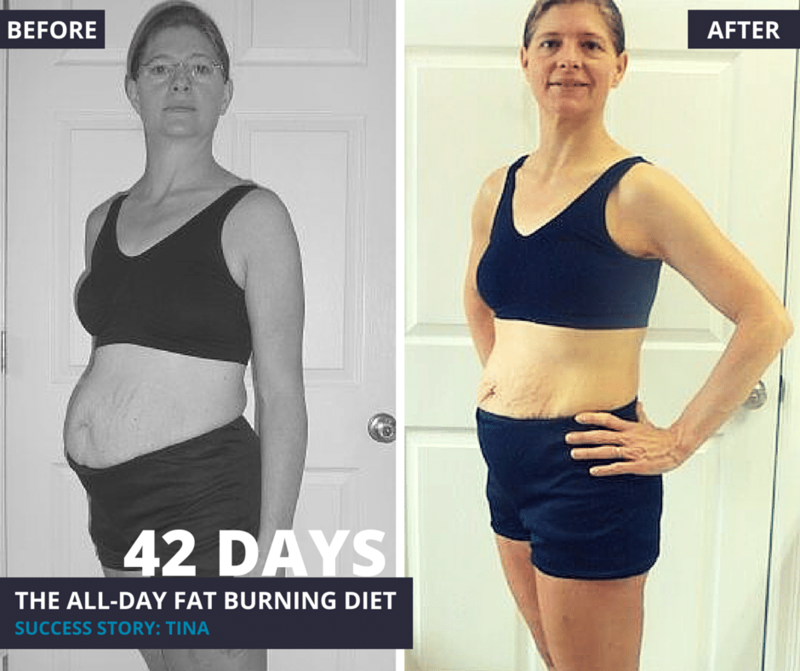 Benefit 2: Regain control of your diet and eat in a way that resonates with your body without feeling deprived or guilty with 51 mouth-watering fat burning recipes that take less than 15 minutes to make. Benefit 3: Shed pounds without having to worry about what to eat for your next meal. Benefit 4: Overcome crippling food cravings that have held you hostage for too long. Benefit 5: Eat healthy and get the right exercise consistently with my proprietary and done-for-you 21-day fat loss plan. Benefit 6: Get thinner, leaner, and stronger with metabolic workouts that take 20 minutes (or less) and can be done from virtually anywhere. Benefit 7: Learn how you can sleep your way thin so you not only sleep better but “re-program” your body to lose weight all day long. Your body is set to either hold, maintain, or lose fat. How your body perceives itself in the world (ie. is it in stressed out survival mode?) along with what and how you eat largely determines that. When you focus on quality foods, the quantity becomes less important. When you focus on quality exercise, less is required. My proprietary LIFT Method™ (length, intensity, frequency, and tempo) makes this possible. Daily movement (called “micro-movements” in the book) is very important for staying limber and helping your body shed fat. Eating 5-6 times per day isn’t right for everyone. Eat when you’re hungry and stop when you’re 80% full – no matter the time of day. A big breakfast isn’t right for everyone – listen to your body. As long as total calories remain constant, meal frequency is of little importance. Stress (from all sources) is the BIG underlying factor in weight gain. 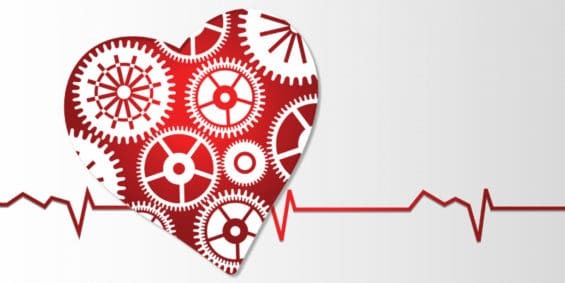 Once you help your body better manage stress and maintain homeostasis, you allow your physiology/metabolism to restore its “factory settings” and losing weight becomes much easier. 6 “fat triggers” (which all elevate the stress on your body) encourage weight gain and slow weight loss because they break down important hormone pathways and systems in your body. 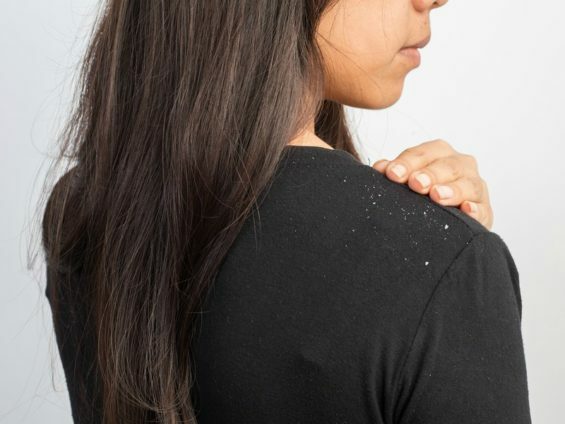 Avoiding these fat triggers allows your body to resolve it’s metabolic imbalances. Strength training exercise – not cardio – is an integral part of lasting weight loss. It builds muscle, which is far more metabolically active than fat. Since muscle is the major contributor to your basal metabolic rate (BMR), and since your BMR accounts for 70% of the calories you burn each day, dieting alone will never lead to lasting success. Fat loss starts in the kitchen but lasting success is largely due to how you exercise. Rest, recovery, and proper sleep are arguably as important to losing weight as what you eat. An overworked, stressed body encourages weight gain. Proper sleep re-establishes ideal circadian and hormonal rhythms, which are associated with lasting weight loss. Here are 14 of the most common questions I’ve been asked about this book over the past few months. Hopefully, they give you the answers you’re looking for. If you have any other questions please let me know in the comments below. 1. Why does The All-Day Fat Burning Diet work so well? Losing weight is not as simple as eating less and moving more. For those who follow that rule and still can’t lose weight, what’s holding them back is an internal physiology gone wild. The human body inherently knows how to stay lean but only when our internal workings are ideal. Thus, the goal is to reset our body’s innate “factory settings” so that it can do its job properly. The All-Day Fat Burning helps to make that possible. 1. Eating differing amounts of food each day is a more natural state of eating for most people and acts to re-establish ideal hormone function. 2. 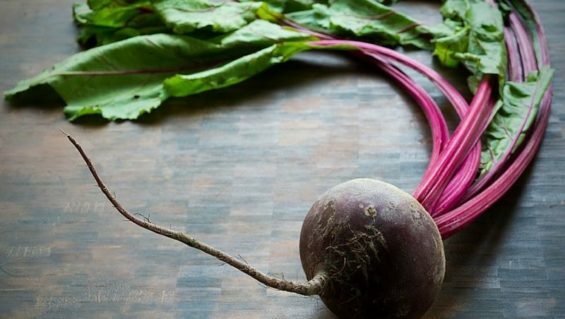 Eating clean foods reduces most of the fat triggers at the root of weight gain. 3. My proprietary fat burning workouts ensure lean mass is gained/maintained with just 3 short workouts per week, which keeps your metabolism churning through calories 24/7. 4. The focus on rest, recovery, and sleep further reduces stress and inflammation, which are at the root of unexplained weight gain, and helps to re-establish optimal circadian and hormonal rhythms. 2. What makes this diet different from every other one on the market? Most diets don’t create lasting results because they only focus on food. This is different. 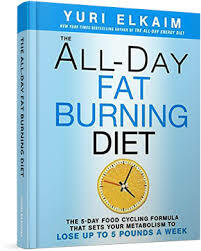 First, the All-Day Fat Burning Diet is the only diet that resets your metabolism to lose up to 5 pounds per week by encouraging you to eat delicious food within a unique 5-day food cycle that mirrors and honors your body’s natural rhythms without counting calories, dogmatic diet rules, or insane exercise. Second, my proprietary 4-pronged approach to burning fat (as mentioned earlier in post) is very unique and hardly discussed in most weight loss programs. 1. No counting calories which means you can enjoy food once again without obsessing about everything you’re eating. 2. It’s more than just food as it places a strong emphasis on exercise and rest as well both of which will ensure lasting fat loss. 3. It helps you become a “fat burner” (instead of a “sugar burner”) without giving up carbs or putting your body into chronic ketosis so that you don’t feel like crap en route to looking better. 3. What if I’m paleo or vegan? Great, this is diet agnostic. 70% of the recipes contain animal products, but whether you’re vegan, paleo, or anywhere in between you can easily follow the food cycling guidelines and food principles to suit your needs. 4. Who is this diet for? 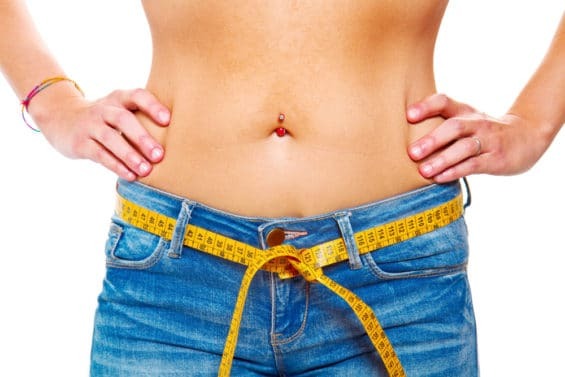 The All-Day Fat Burning Diet was designed for men and women of any age who want start losing weight and those who need an extra edge to lose those last 10 pounds. 5. Can I follow this if I have diabetes, high blood pressure, or another health concern? Yes, following this diet will not only help you lose weight but, as a by-product, improve your overall health. 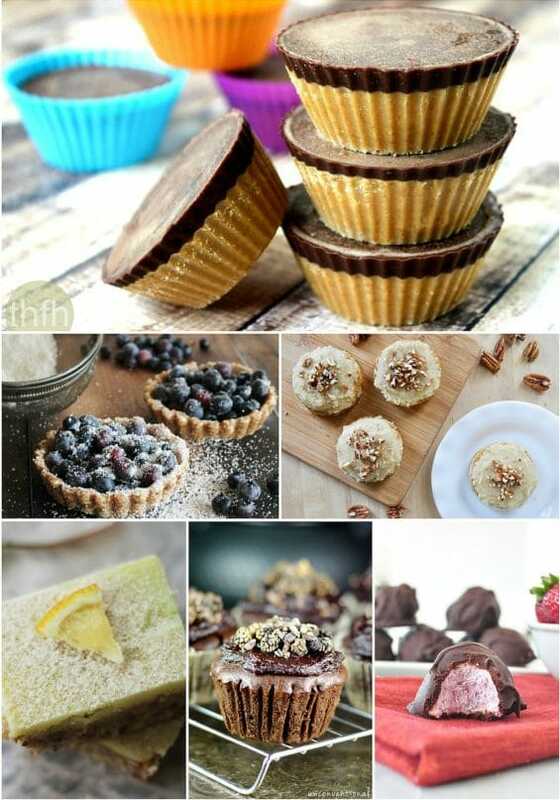 Plus, all the recipes are well-balanced and have a low-to-medium glycemic load and contain no artificial junk – just real food quickly made from scratch. 6. Will the recipes take forever to make? No, the 51 recipes in the program take just 15 minutes to prepare. 7. What foods am I not allowed to eat? I’m not your boss so I can only recommend you eat and avoid certain foods. You ultimate decide what you want to do. But for best results, and to truly follow the program, I recommend you avoid dairy, gluten, and soy. Clean animal products, vegetables, fruit, nuts, and beans and legumes are perfectly fine. 8. Will I have to give up any of my favorite foods? If your favorite foods are ice cream, pizza, hot dogs, and French fries, then probably. Otherwise, The All-Day Fat Burning Diet is gluten and dairy free, low in sugar, yet still loaded with delicious meals that take little to no time to make. 9. What if I’ve failed with every diet I’ve tried? Then you obviously haven’t found something that resonates with you. 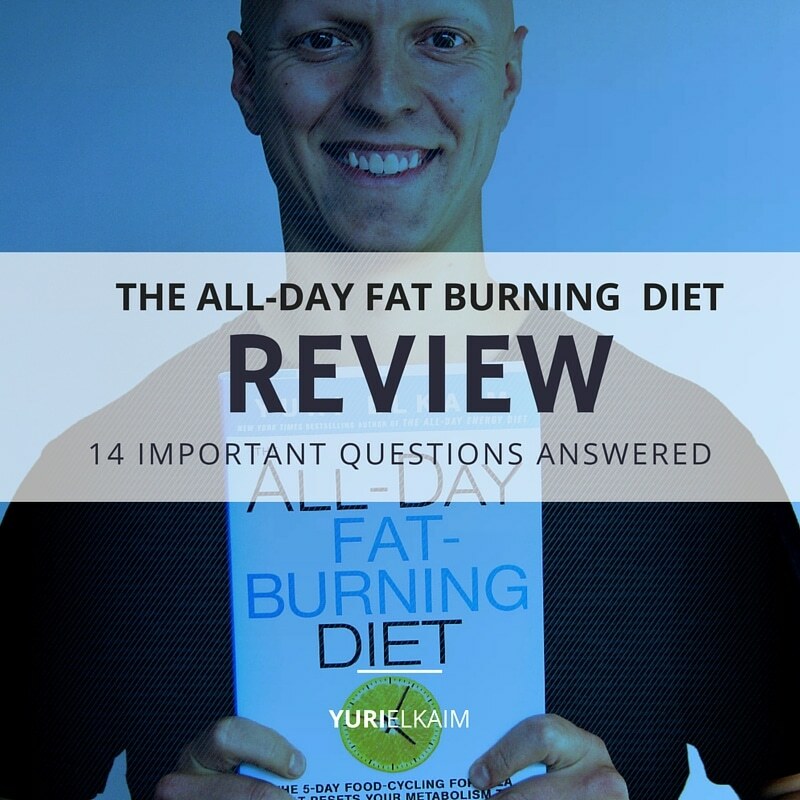 The All-Day Fat Burning Diet is very intuitive and allows you to eat normally – based on what your body actually wants – which means you can likely follow this way of eating/living indefinitely, without ever feeling like you’re on a diet. 10. Do I have to workout to see results? You don’t have to, but the fast 20-minute workouts are completely do-able and will greatly accelerate your ability to lose fat and keep it off. After all, the more muscle you have, the more fat you’ll burn on autopilot since your metabolic rate will be increased. 11. What if I don’t have time to make the recipes or workout? Then I’d question your commitment to really achieving the goals you say you want. If you don’t think your health and waistline are worth 15-20 minutes per day, then no weight loss program will help. 12. Can I follow my own recipes? Yes, as long as they fit within the 5-day food cycling formula guidelines, which many do. 13. If I have adrenal fatigue, hypothyroidism, or blood sugar problems, will the 1-day fast be a problem for me? Obviously, please check with your doctor first but if your blood sugar and cortisol levels are completely off the charts, then you can always eat something small every 2-3 hours on your 1-day fast to keep your blood sugar more stable. If you’re hypothyroid, you should be ok especially considering you’ll be getting plenty of good carbs (and calories) on your other days of the program. 14. I’m going through menopause, will this book be suitable for me? Yes. 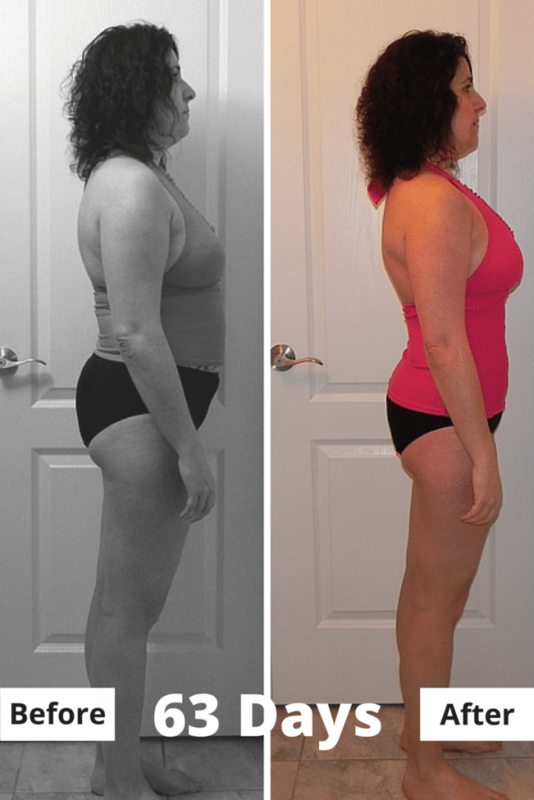 Most of our beta tester clients were between 40-65 years of age (and even older in Sue’s case below) and noticed significant health and body transformations. I can’t stand healthy recipes that taste like cardboard or that take forever to make. That’s why the 51 recipes in this book taste amazing and take less than 15 minutes to prepare. Here are 2 of my favorite healthy eating recipes from the book. This is a breakfast option for one of the Low Carbs days on the program. Replacing potatoes with cauliflower is not only lower in carbs, but also amazingly delicious. #1. In a large skillet over medium-high heat, warm the coconut oil. Add the cauliflower and onion and cook for 2 to 3 minutes. #2. Add the paprika, salt and pepper, and water. Cover the skillet and cook until the cauliflower is fork-tender but not mushy and has taken on a golden color, about 3 to 5 minutes. #3. 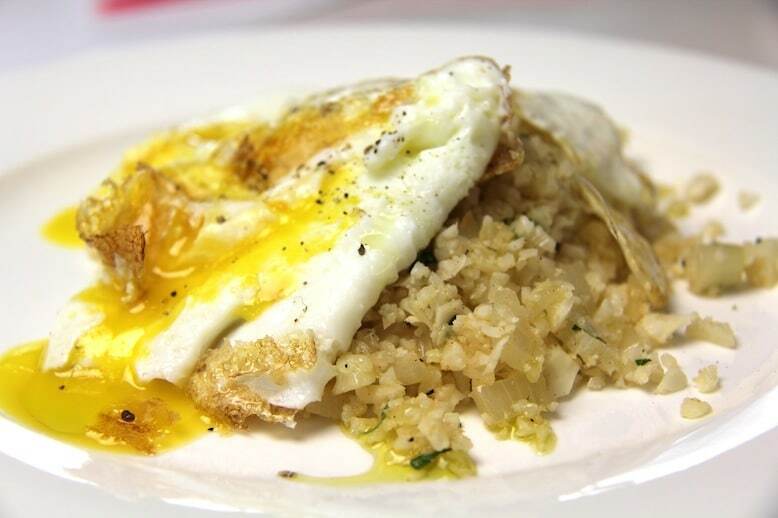 Meanwhile, in a separate skillet, cook 2 eggs the way you like them (over easy, sunny side up). #4. Turn the heat under the first skillet down to low, add the garlic, and cook for 2 minutes longer, uncovered, stirring constantly. Stir in the lemon juice and cook until evaporated, about 30 seconds. #5. To serve, sprinkle the parsley on top, top with the fried eggs (and some bacon or sausage if you like), and drizzle with the olive oil. I have no idea if this is an actual Mexican dish—I don’t think it is—but the flavors are certainly authentic. You’ll love this quick and delicious meal. #1. In a medium skillet over medium heat, melt the butter. Cook the shrimp for 1 minute. Add the garlic and continue cooking, stirring frequently, for 3 minutes, or until the shrimp turns pink. Remove from the heat. #2. 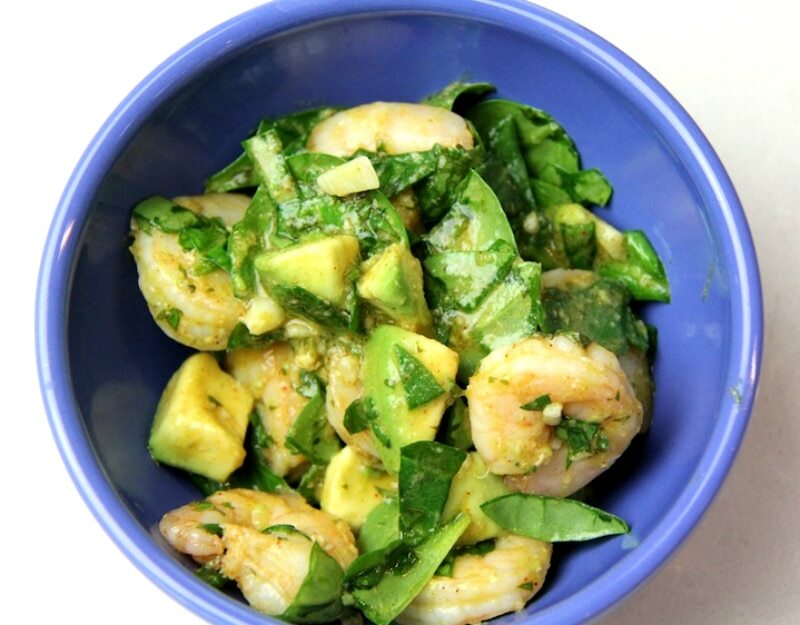 In a bowl, combine the shrimp with the lime juice, olive oil, cilantro, and chili powder and let marinade for 5 minutes. #3. Add the spinach or kale and the avocado and tomatoes (if using). Season to taste with salt and pepper, mix well, and serve. 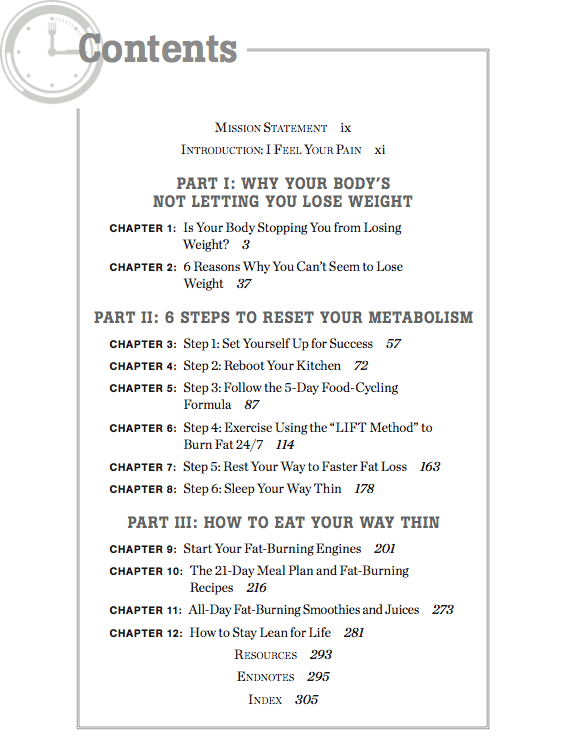 Since smart exercise – the LIFT method, as I describe in the book – is such an integral component to turning your body into a 24/7 fat burning machine. In total, I recommend doing just 3 short workouts per week that, combined, take you less than time watching a movie. Here’s a sample of just one of the workouts from the program called Bodyweight Eccentrics. This is a straight out of the book so you can see that there are also exercise pictures and descriptions for each exercise which helps to ensure you do each exercise with good form. 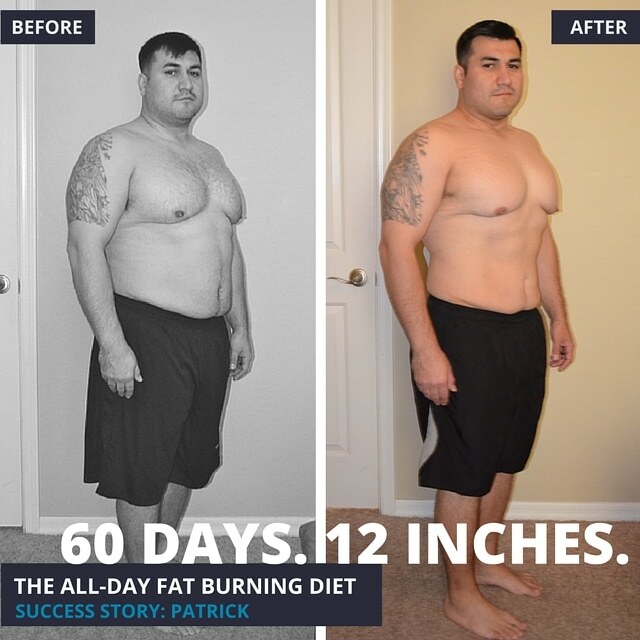 Hopefully The All-Day Fat Burning Diet review I just laid out for you has given you more reassurance that this program is the real deal and that it’s not really a “diet” at all. Whether you’re vegan, paleo, or anywhere in between you can work this program into your life with great fat burning results that last. If you’re ready to join thousands of other satisfied readers, then grab your copy (and a bunch of great bonuses) here.